At the close of the twentieth century the stereotyping and demonization of 'others', whether on religious, nationalist, racist, or political grounds, has become a burning issue. Yet comparatively little attention has been paid to how and why we fabricate images of the 'other' as an enemy or 'demon' to be destroyed. This innovative book fills that gap through an interdisciplinary, cross-cultural approach that brings together a distinguished array of historians, anthropologists, psychologists, literary critics, and feminists. The historical sweep covers Greco-Roman Antiquity, the MIddle Ages, and the MOdern Era. 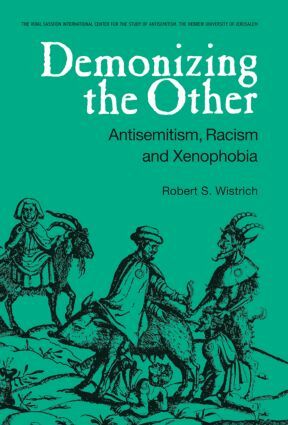 Antisemitism receives special attention because of its longevity and centrality to the Holocaust, but it is analyzed here within the much broader framework of racism and xenophobia. The plurality of viewpoints expressed in this volume provide fascinating insights into what is common and what is unique to the many varieties of prejudice, stereotyping, demonization, and hatred. Mass Death under Communist Rule and the Limits of "Otherness"
The Flourishing Demon: Japan in the Role of the Jews?